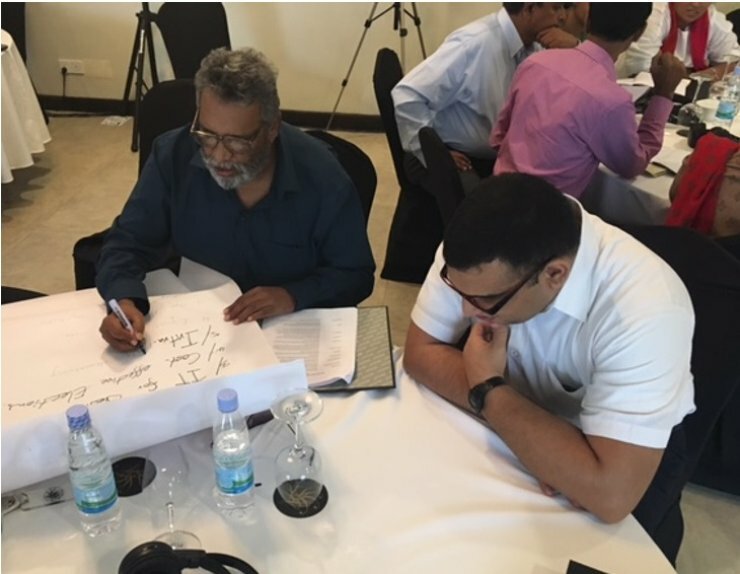 From May 16 to 19, the Election Commission of Sri Lanka (EC) and the International Foundation for Electoral Systems (IFES) held a workshop to design a four-year strategic plan that will bolster the EC’s ability to serve as a model for other election management bodies. As part of this effort, the EC identified inclusion of persons with disabilities and other marginalized groups as a priority focus for its strategic planning period. The workshop presented opportunities for participants to engage in discussions with experts, including Ishan Jalill, Disability and Inclusion Advisor for IFES Sri Lanka, and to integrate best practices related to the rights of persons with disabilities into its strategic planning goals and objectives. As the EC continues to develop its strategic plan, it is incorporating activities – such as establishing a gender and inclusion unit to promote the electoral participation of women and persons with disabilities, conducting a comprehensive study on barriers to electoral participation, and designing accessible voter education materials - to promote equal access in the 2017 local and 2020 national elections. These efforts strengthen Sri Lanka’s efforts to empower persons with disabilities to participate and reflect the EC’s emphasis on inclusion of marginalized groups in political processes.